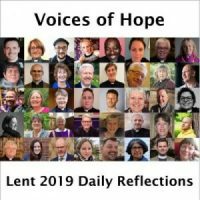 by the Revd Marcus Green, Rector of Steeple Aston, author of The Possibility of Difference and Member of the Living in Love and Faith Project. It was with enormous sadness that I read of the Revd Dr Christina Beardsley’s decision to leave the House of Bishops’ Living in Love and Faith project in her comment piece in last Friday’s Church Times. Sadness, but understanding, and gratitude especially for her challenge over the roles of power, the parish and practical theology. This month is LGBT History Month. The church school next door to my rectory has a display about it in the entrance hall to the school. LGBT History is an interesting phenomenon: there are people and movements that have affected us all, and there are moments in our personal histories that our entirely ours, and yet remarkably common to most of us. One time, I was invited to take part in a conversation with my bishop about the situation of gay people in our diocese. At the last minute, arrangements were changed, and I’m afraid I sent a pretty bad-tempered email off to the bishop because of the way it all happened. The problem, I said, was that accepting the invitation in the first place was hard: we’ve all heard so many words before, and so few of those words have actually meant anything. When more words are spoken, we don’t hear the new ones in a vacuum and take them as if on their own merit: we hear a lot of history. And so I said to my bishop that when an invitation gets taken back at the last minute, that’s not a small thing that happens without context. Such a decision happens in the midst of a whole load of other noise – noise which makes any kind of understanding really hard. One gay friend of mine asked me, why do you endlessly put yourself through these things? We know that in the end the value our lives is going to be decided by a bunch of straight folk anyway. Every LGBT+ person I know has felt both the the black humour and the painful truth of this little gem. Regularly. And yet, when it comes to LGBT History – as for Christina and Living in Love and Faith – we all have to decide for ourselves where the line gets drawn on how many times we can personally cope with the endless repetition of hurt and opportunity and hope and disappointment that comes our way. Because the truth is, that every now and then there are moments of change. Every now and then the cycle is disrupted and all the pain was worthwhile. Just occasionally LGBT History shows us that laws get re-written, lives get re-evaluated, prejudice gets punctured and people win – even if just for a moment. I’m a recent addition to the membership of the Living in Love & Faith Project; I have no crystal ball, so I can’t say how it will all work out. I do know that for those of us who love the Church and want to see things change for the blessing of people and the glory of God, we’re unlikely to see everything we want by 2020. There’s a lot of straight folk still making decisions about the value of our lives! But every voice that has been in the room, and every voice that has had to struggle to find a hearing, and every person that has risked yet another wound has played a vital part in creating the possibility that this too might just be such a moment of change. And if not, that others might build on it, and from it create something else. Every voice in every parish, on every PCC, in every rectory, at every diocesan synod, calling for recognition and fairness and equality plays its part in a story that will end in all God’s people being seen to be gloriously, truly, wonderfully and fully human together. I want my friends’ kids to grow up in a different world and a different Church than I grew up in. So I fully understand why Christina has ended her involvement in Living in Love and Faith, but I am carrying on just in case this is something where I can help add a crack to a mould that needs to break. And if I and others need to leave at some point too, I guess we’ll join Christina in whatever else we can do so that at some point History doesn’t have to repeat itself because someone does listen. This entry was posted in Human Sexuality, Marcus Green, Transgender. Bookmark the permalink.